Handcrafted in Norway with solely organic oils and solid premium wood lamellae. This piece is made for durability and every day use. Lars Tornøe was born in Düsseldorf in 1979 to Norwegian parents. After growing up first in Germany, then, in Norway, he graduated with MA in Design from the University of Bergen in 2006. The first years of his career Tornøe focused on collaborations with other designers, later founding his own studio. 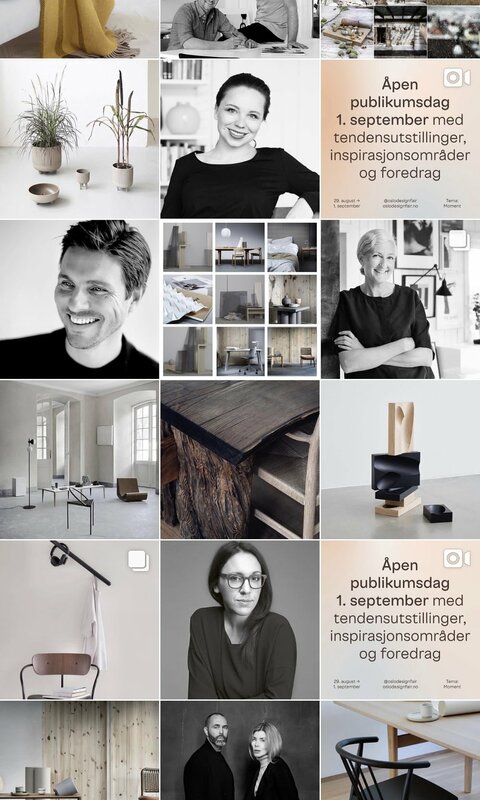 Today, Lars Tornøe is a Norwegian design studio devoted to furniture design and related fields of product design, working with various clients across Northern Europe. Many of his products are highly-acclaimed and have garnered awards, international exhibitions and museum acquisitions. One example is The Dots for Muuto, which is part of the permanent collection at the Danish Design Center. 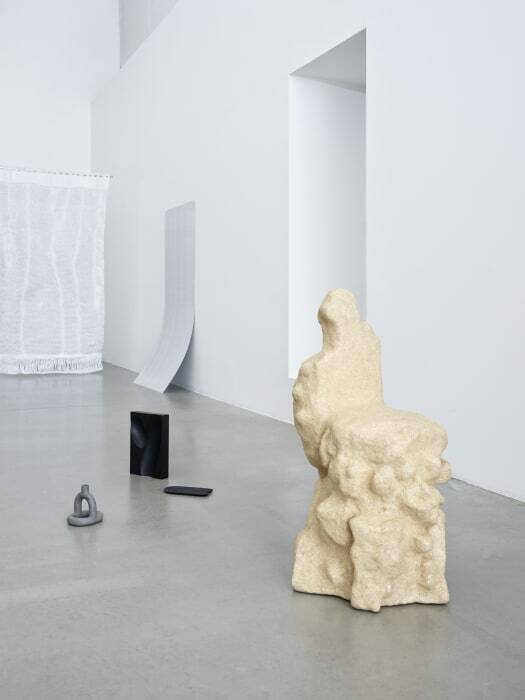 Tornøe’s work has been shown in numerous exhibitions all over the world, London, Stockholm, Milan, Cologne, Berlin, Copenhagen, Seoul, New York etc. and is used as part of the official promotion of Norwegian design. 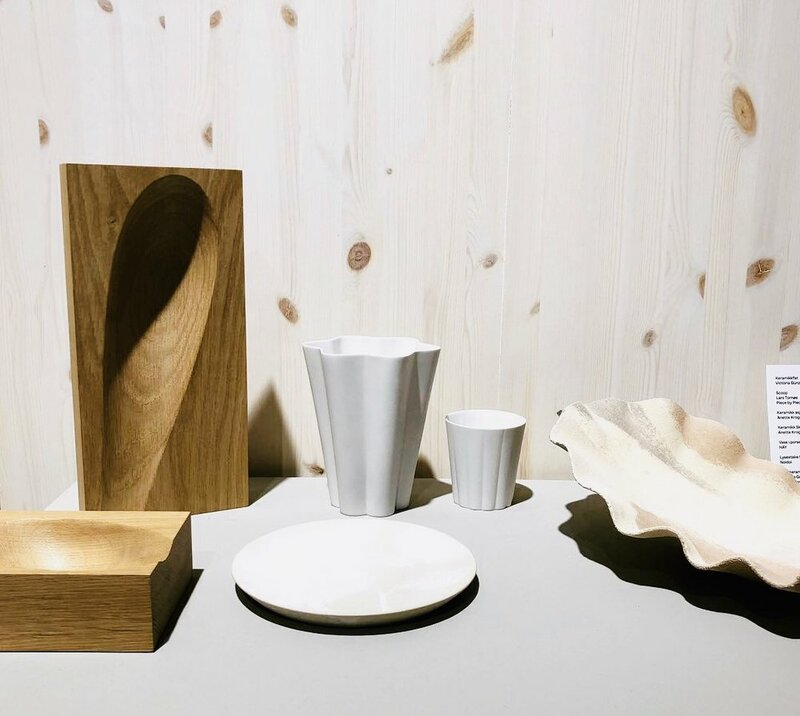 Tornøe has received several awards such as the Award for Design Excellence by the Norwegian Design Council, Red Dot Award and Designer of The Year by Bo Bedre Magazine. The rain had just cleared as she came to the beach. The sand was still wet and heavy, almost like clay. She dragged her heel through the soft ground, leaving behind long grooves—as if someone had taken a scoop. There are various uses for Scoop, ranging from decorating your living room, offering something del-ightful to your guests or exhibiting your jewelry on the nightstand. Your Scoop should last for generations; therefore only premium natural materials are utilized for this product. They are selected by durability, weight and aesthetic aging properties to maintain a timeless yet premium quality. Design and craftsmanship permeate both process and product down to the smallest detail. Scoop is an instant idea that has been refined into timeless objects for your home. The design is highly geometrical. It is composed with a circular profile that removes material from a rectangular plank, resulting in a contrast between the softly curved inside and the clear-cut outside. Fascinating details are revealed by letting the cuts intersect and pass through the sharp corners. Piece By Piece connects the right products with the right people and vice versa. Then your product will be presented and placed in the premium interior/lifestyle industry. The collaborators are designers, manufacturers, wholesalers, interior architects, influencers, buyers, agents, sales managers, thought leaders and distributors. We are people who are a piece of the puzzle within the upscale furniture/lifestyle industry and only best-in-class within our fields of expertise. For the promotion of Scoop we partner with top stylists, photographers, and interior architects. They are carefully selected in order to interpret Scoop their own creative way. Piece By Piece gets to showcase some stunning work. Influencers add their personal signature to the visuals, and Scoop gets to play the main character. Thank you to Susanne Swegen, Aina C. Hole, Hilde Hugsand, Elisabeth Ønseth and Joakim Karlsson for kickstarting the journey at the Scoop VIP launch 2019.